The Largo DRYSTAR® is ideally suited for all weather urban commuting, and incorporates Alpinestars’ innovative DRYSTAR® PERFORMANCE material bonding technology for excellent levels of grip and weather performance, while EVA foam padding throughout ramps up the comfort and fit features. LARGO DRYSTAR® GLOVE KEY FEATURES: Constructed using Alpinestars’ DRYSTAR® PERFORMANCE material technology, which incorporates a sealed and bonded triple layer construction to offer: Reduced material chassis which promotes high levels of comfort, tactility and sensitivity on the bike’s controls. High levels of durability and interior material integrity. Excellent windproofing performance. Incorporating Alpinestars’ exclusively developed 100 per cent waterproof and breathable DRYSTAR® membrane to keep out the elements. Clarino suede palm for optimized levels of comfort, durability and abrasion resistance. 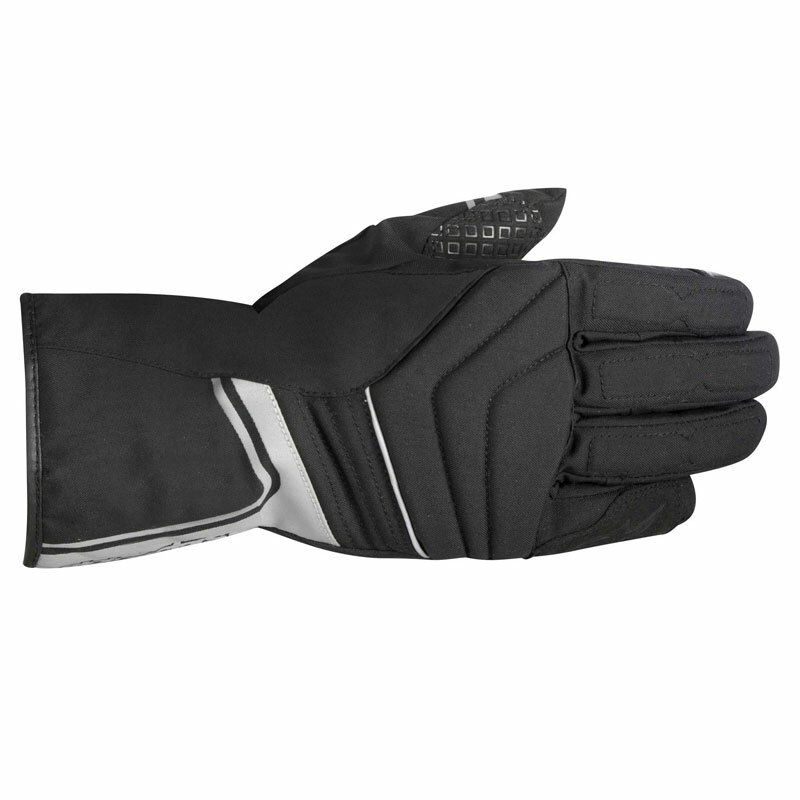 Synthetic suede reinforcement on palm and outer hand provide abrasion resistance in key impact zones. EVA foam padding on knuckle, palm and fingers for comfort and fit. Pre-contoured glove construction helps reduce rider fatigue. 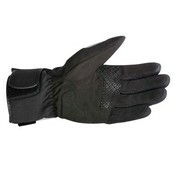 Reflective detailing on thumb and backhand improves rider’s visibility in poor light conditions. Velcro® cuff closure plus elasticated wrist ensures comfortable, secure and close-fitting fit. Smartphone compatible finger-tip on left-hand index finger for use with GPS systems, tablets or smartphones.